What better way to implement, practice, and propagate working solutions with the world than by actually going to do it! The solutions-based transmedia storytelling adventure will feature missions to different communities, projects, and events with a team of helping hands and eager hearts. Invitations are received by the community, the bus provides the means to get there, and the characters provide the skills and creative mediums to share the adventure online with the world. The solutions we seek are available and the period of implementation, practice, and propagation on ground level is now. The playful services offered by The Collective Tribe are dependent on the core characters and directed by the larger community. This multi-use approach will maximize the interest and desire for the community to utilize the opportunities provided by The Bus. Specific quests will be updated and shared as the story unfolds. At this time there are three main services being offered. Community Projects – these are aimed toward local projects and community events in the Calgary area. Invitations are open to be received from the community and the choice direction will be taken by the core team. This can be anything from garden creating, park clean ups, community events, sustainable building projects, and outdoor play session. 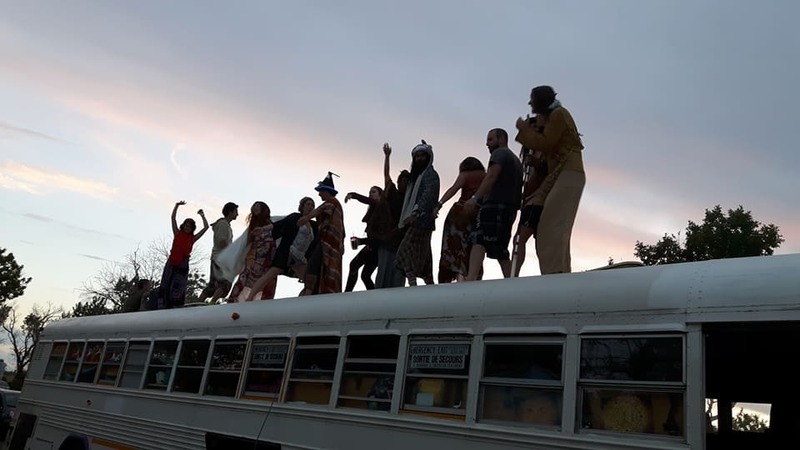 Transformative Festivals – During the late spring and summer months, The Dreamweaver Bus travels to music and art festivals in Western Canada. 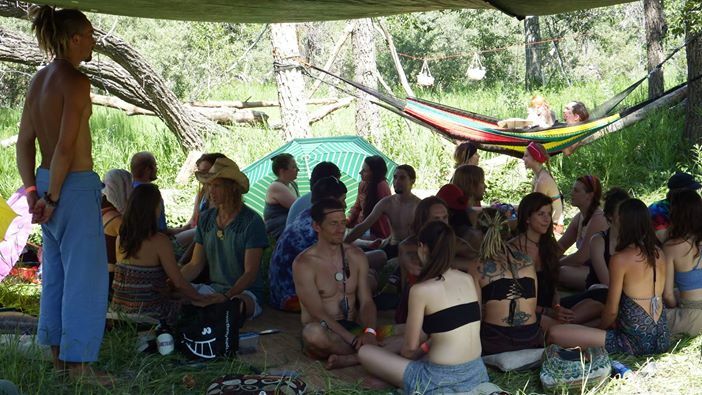 For the last six years, a communal camp space has been set up and offered as a sanctuary to the larger festival at events like Astral Harvest, Inshala, Motion Notion, Shambhala, Burning Man, and FozzyFest. We are based on a value of community inclusion and the philosophy of the gift, creating a safe container for the free expression of individuals’ gifts within the context of the festival experience. Nature Quests – By immersing people in a natural environment we provide the opportunity for them to rediscover their childhood curiosity, wonder, and love for the ecology of the planet. When we directly experience the impact and empowerment of immersion in nature, we plant the seeds for a greater connection to ourselves, our collective home, and each other. These quests are community-driven trips and include creative sabbaticals, camping trips, permaculture tours, or any other fun adventure you can think of!